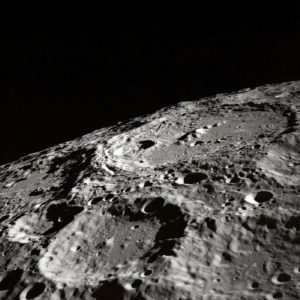 Home » Science Notes Posts » Astronomy » What Does the Moon Smell Like? Have you ever wondered what the Moon would smell like? Astronauts describe a characteristic scent to the Moon rock and dust. Can you guess what it was? Answer: Astronauts describe the Moon as smelling like burnt gunpowder. In fact, according to Apollo 16 pilot Charlie Duke, it even tasted like burnt gunpowder. That gets you wondering how he knows the flavor of burnt gunpowder, doesn’t it? Chemically, gunpowder, burnt or otherwise, has very little in common with lunar dust, so it’s unknown why the Moon should smell this way. It may be there was some interaction between the lunar dust or Moon rocks and something else inside the capsule. Strangely, samples taken from the Moon have little to no odor back on Earth. It will be interesting to see if the next visitors to the Moon report the same experience!